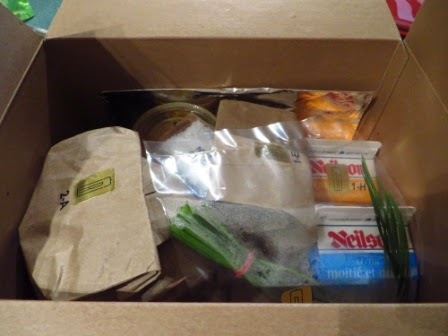 I received an email last week from Teresa, one of the partners of Recipieces, asking me if I would like try a Ready-to-Cook Gourmet Meal Kit (for two). 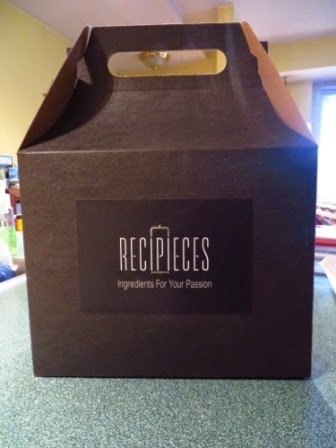 Welcome to Recipieces.ca, a fresh and exciting new option to help you easily prepare and share gourmet dining experiences in the comfort of your own home. 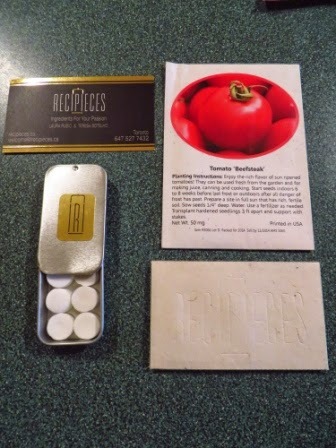 Initially serving residents in downtown Toronto, Recipieces combines next day delivery of pre-measured and pre-proportioned ingredients with clear and simple instructional content and techniques to ensure a fantastic dining experience each and every time, with you as the master chef! 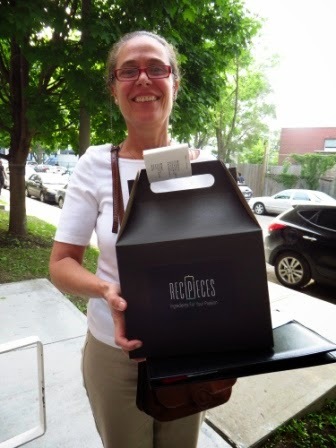 Recipieces partners with local markets and food suppliers to ensure that we bring to you only the best and freshest ingredients in each of our recipe kits. Wine selections are chosen from the LCBO Vintages collection, with recommendations specific to each meal. Our objective is to take the worry and stress out of the entire process, from the store to your dining table, letting you focus simply on the pleasure of creating dining experiences to remember and treasure. There were quite a few meals to choose from (ahi tuna, steak, chicken, pork tenderloin, crab cakes, lamb chops, crepe gratin, etc.) along with side dishes (snap peas, mashed potatoes, spaghettini, grilled carrots, flatbread with goat cheese, gnocchi, salads, rice, etc.). 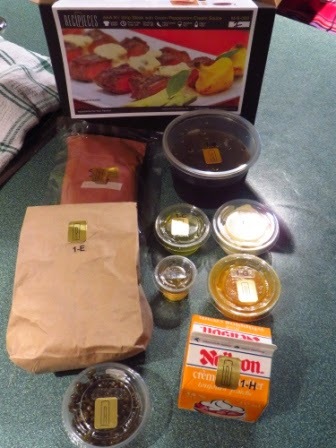 Teresa delivered my box last evening. 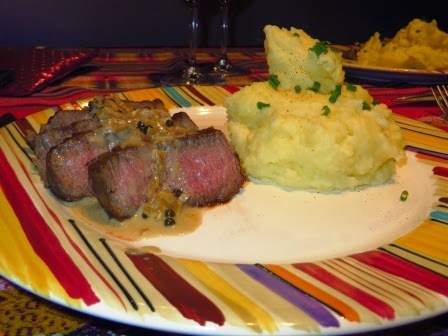 I ordered NY Strip Steak with Green Peppercorn Cream Sauce and Mashed Potatoes with Nutmeg and Chives. 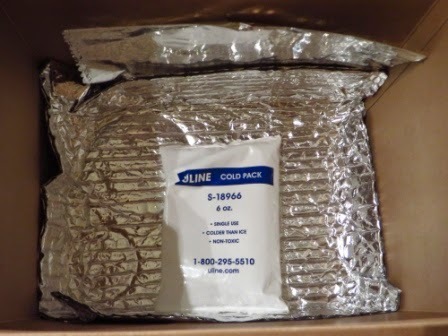 I weighed the box this morning as it was heavy ... it was 7 pounds! I made it for supper tonight. 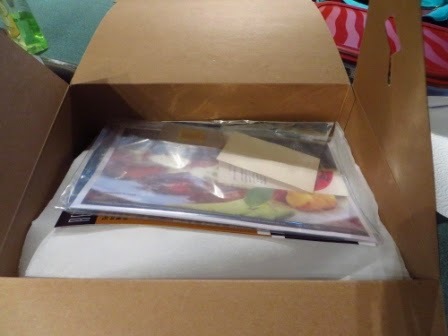 The recipes and some goodies were at the top of the box. 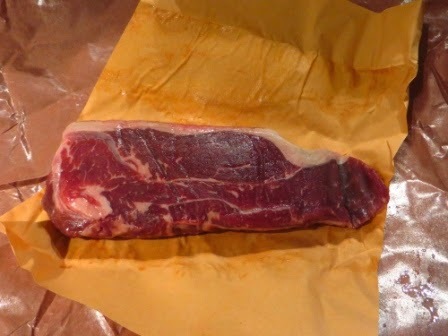 Here are the ingredients and recipe for the NY Strip Steak with Green Peppercorn Cream Sauce (AAA New York steak, beef broth, olive oil, butter, shallots, white wine vinegar, pear juice, whipping cream and green peppercorns in brine). 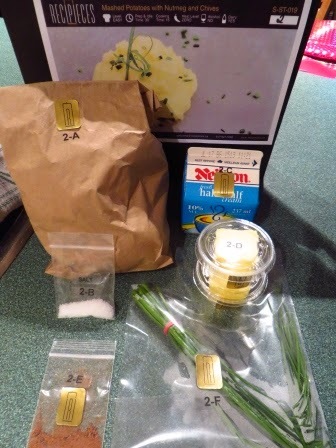 Here are the ingredients and recipe for the Mashed Potatoes with Nutmeg and Chives (Yukon Gold potatoes, sea salt, half & half, butter, nutmeg and chives). It took about an hour to make it and here's the end result. My peppercorn sauce didn't look quite like the one in the picture but it was good nonetheless. 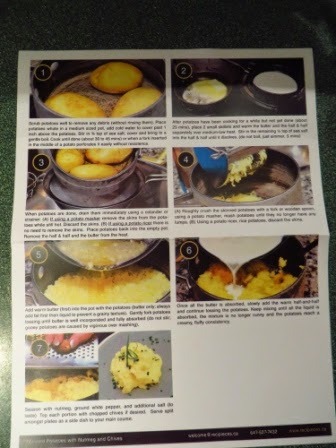 So good, in fact, that there was some leftover and we are going to use it with something else for supper tomorrow. 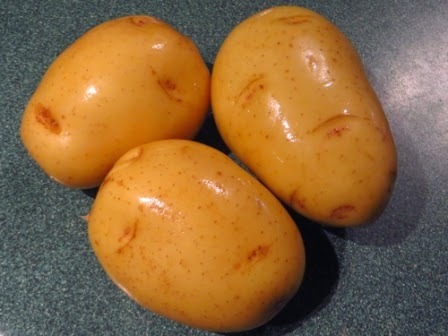 I love love love mashed potatoes and these were delicious. Who is this service good for? Someone who loves to cook but is too busy to shop or hates shopping. 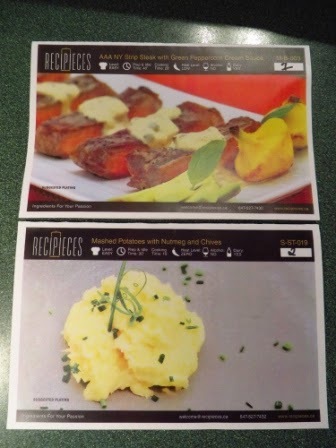 Recipieces makes it easy to create gourmet meals by providing all the ingredients AND measuring them out. 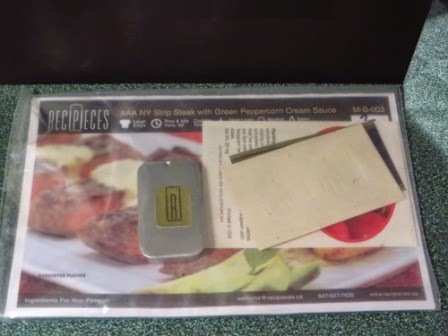 I received this Ready-to-Cook Gourmet Meal Kit at no charge in exchange for my honest review. 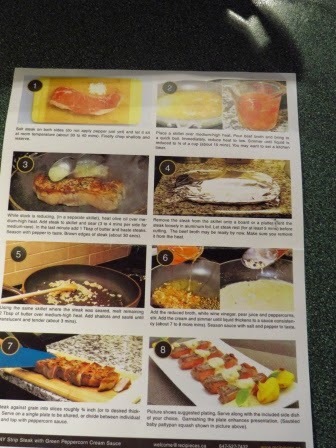 Our first cooking classes will be on July 24th (Queen & Ronceswalles). I'll keep you posted. Oooh that looks good! I'm all for Toronto companies and it was so nice of Theresa to deliver the goods in person! That sounds totally awesome. I would love something like that on busy nights when I don't have a lot of time to cook! Looks fabulous - what a great idea!! What a great idea! The food looks yummy. It was really good, especially the sauce!